With the summer 2017 transition from Blackboard to Brightspace, courses on Brightspace will be made unavailable to students and instructors and eventually deleted per schedule below. This schedule encourages students and instructors to take responsibility for maintaining personal copies of relevant course materials, instead of relying on Brightspace as indefinite storage, while also allowing instructors to take advantage of course copy tools within Brightspace and providing time for most incomplete grades to be resolved. One year after a course ends, the course will be made unavailable to students enrolled in the course. The course will remain available to instructors associated with the course. Example: A Spring 2017 course will be available to students through the end of Spring 2018. It will be made unavailable at the start of Summer 2018. Four years after a course ends, the course will be made unavailable to instructors associated with the course. 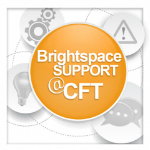 The course will remain on Brightspace servers, but will only be accessible by Brightspace administrators. Example: A Spring 2017 course will remain available to instructors through the end of Spring 2021. It will be made unavailable to instructors at the start of Summer 2021. Such a course will remain on Brightspace servers for one semester, then be deleted entirely. This offers a one-semester grace period to instructors who forget to copy course materials to their personal storage, while ensuring that only a limited number years of courses remain on Brightspace servers at a time. Example: A Spring 2017 course will be deleted at the start of Spring 2022. 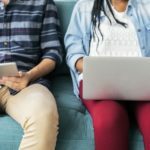 An email notification will be sent to students and instructors four weeks before they lose access to a course, reminding them to keep personal copies of any course materials they might need at a later date. During the time period a course is available to instructors but not to students (approximately three years), an instructor can elect to make the course available to students for as long as the instructor has access to the course. Note that an instructor cannot make a course available to a single student—the course is either available to all enrolled students or none. During the time period when a course is maintained on Brightspace servers but not available to an instructor (the one-semester grace period), Brightspace administrators can grant temporary access to that instructor upon request, to allow the instructor to copy course materials to another Brightspace course or to personal storage. Requests should be submitted via brightspace@vanderbilt.edu. Alternate availability and deletion schedules can be set for individual colleges and schools, depending on local needs. Non-standard schedules should be drafted by the appropriate associate deans and approved by the Provost’s Office. Some very large courses, that is, courses that occupy an unusual amount of disc space on Brightspace servers, will need to be managed ahead of the standard availability and deletion schedule. The Vanderbilt Brightspace team will identify such courses during occasional reviews, and work with instructors to reduce course sizes or move content from these courses to other platforms. Similarly, any course content published to a learning repository or student portfolio on Brightspace will continue to be available after the course becomes unavailable. Also, Brightspace allows students to easily download all downloadable instructor-generated content from a course to a .zip file for later or offline use. 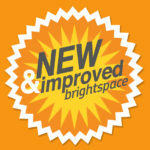 For assistance with using these Brightspace tools, contact brightspace@vanderbilt.edu. The above policy does not apply to courses and organizations created manually on Brigthspace, only courses automatically generated through integration with Vanderbilt student information systems. Manually created courses and organizations will be reviewed occasionally to determine if they are still needed.